I am very lucky to work on quite a few extremely clean and good condition horns, including perhaps a dozen or so a year that are still wearing their original pads. 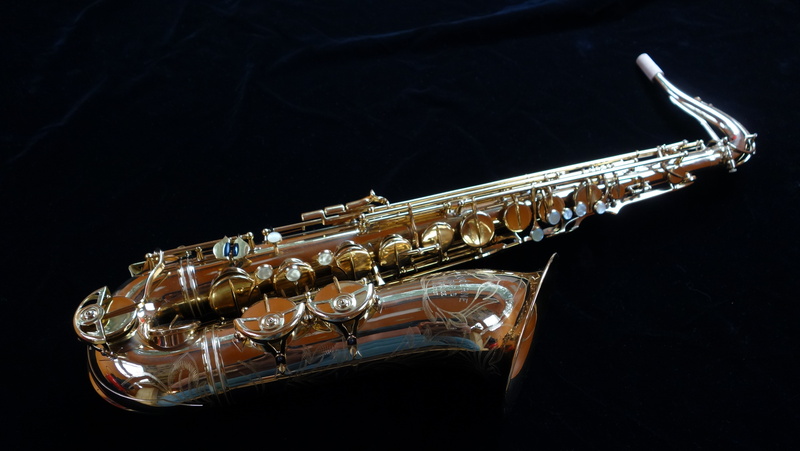 Given that most of what the repairer of a vintage saxophone is dealing with is the effects and ravages of time, wear and tear, and (I’m sorry to say it) the big one: past repairs, it is quite nice to work on a horn where I am closer to the factory intent from the start. 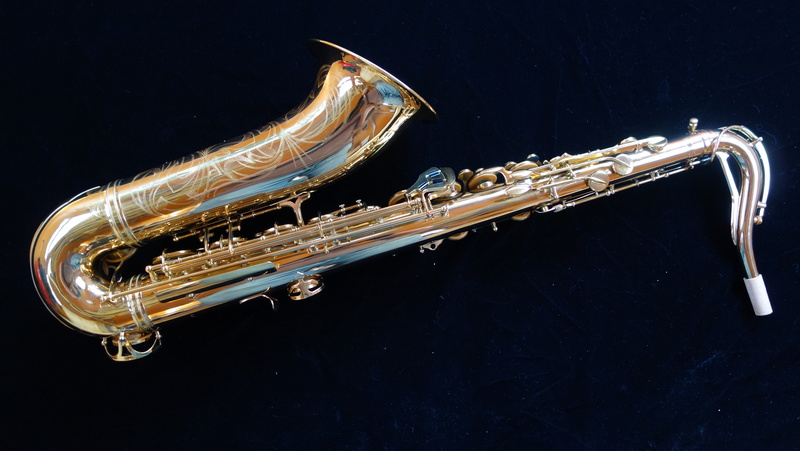 But even in my strange corner of the saxophone world it is worthy of note when I get to work on a horn that is truly New Old Stock- that is, a horn that was never sold in the first place. 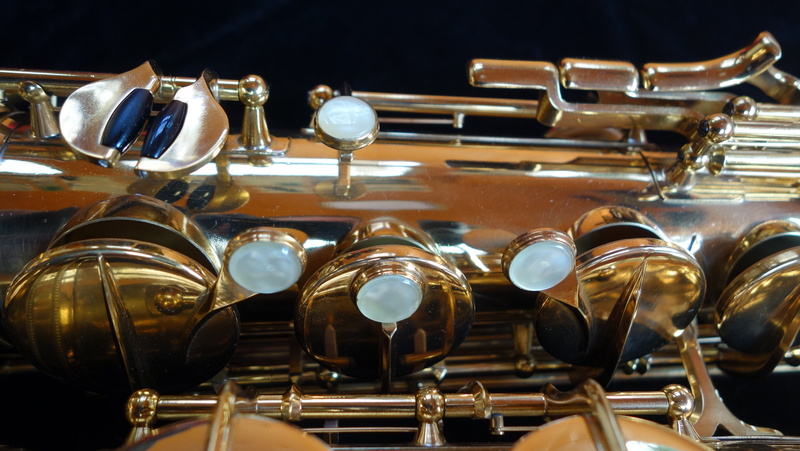 This particular horn came from a warehouse in Minnesota, where it sat for decades, never sold and unplayed. When I first saw it, it still played quite well on its original pads, which although dry-rotting and delicate were still sealing and feeling pretty good, all things considered. A slight gumminess to the action was the only clue that the key oil had turned to varnish and sludge decades ago. There were a few pings from handling and perhaps shipping, but even the original neck cork was clean. It really was a time capsule- a dusty one, but one that had never before seen a repairman’s bench. 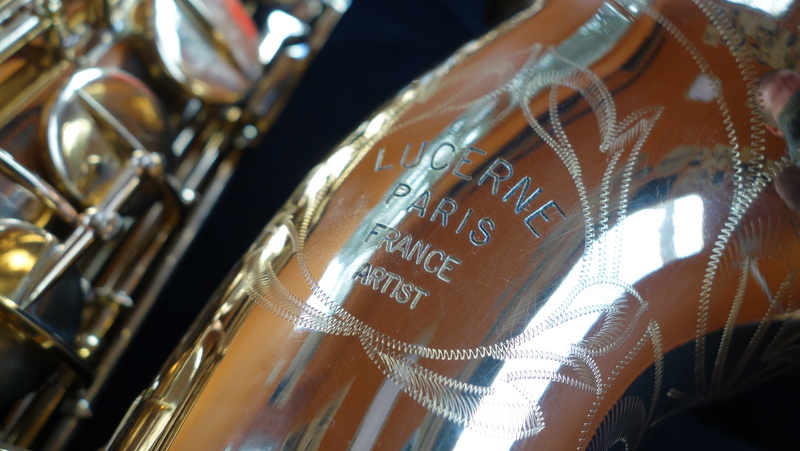 It was an honor to be entrusted with it, and it was a sublime experience to work on such a wonderful old horn in such clean condition. 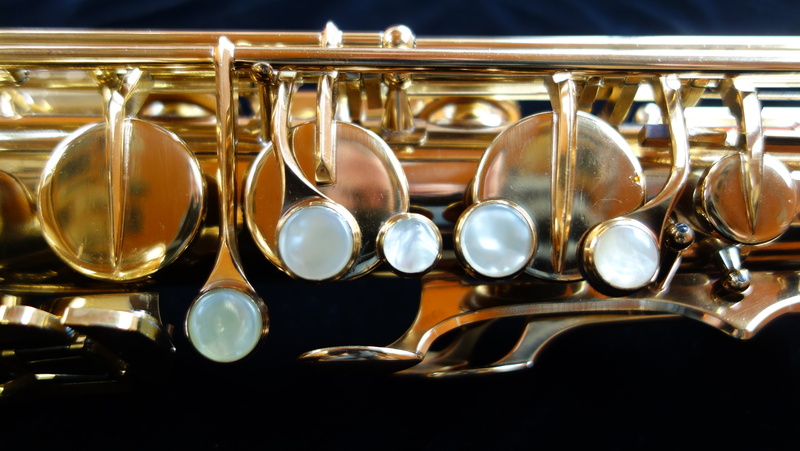 I did a “factory style” overhaul on it, where I used as many original style materials as I could without compromising playability or longevity of adjustments, and I used the same type and size of flat seamless resonators that the horn was wearing when it came in. 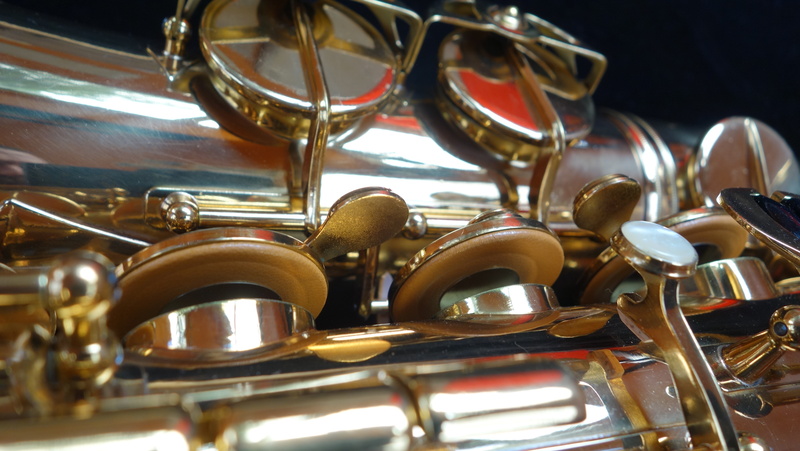 One interesting thing to note was that the original key heights were quite low, and the horn was substantially improved both tonally and intonation-wise by opening them up considerably. In the end, this was the kind of SML that gives them their reputation. (And of course since this is a European-style stencil rather than an American-style stencil, the horn is exactly the same as a regular SML save the name on the horn.) The action was slick and quick, the sound was fat and lush and HUGE, with a nearly Conn-sized tone but with a bit of French refinement. 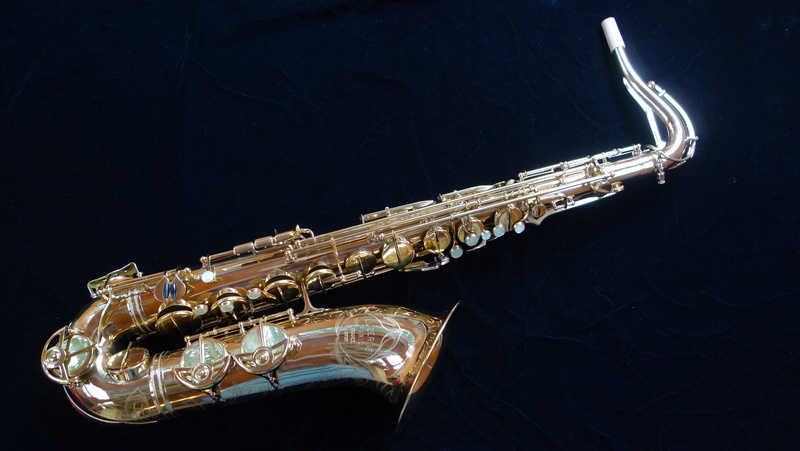 And man, what a beautiful saxophone. It will be while I reckon before I see another horn like this.